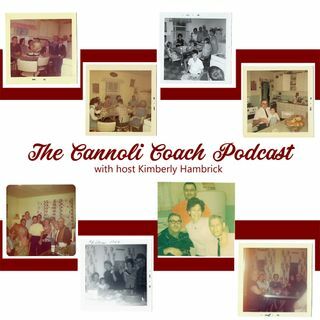 The Cannoli Coach podcast joins us around a virtual table where we talk about moments in our lives that resulted in new learnings. Through these discussions you will learn of resources or strategies that you can implement in your own life. Together...let’s Leave the Frustration and Take the Cannoli! Dr. Kimberly Hambrick is President of Kimberly Hambrick Consulting and an Executive Director with the John Maxwell Team, certified as a coach, teacher, trainer, and speaker. She has close to 30 ... See More years of expertise as a business consultant with an emphasis on leadership and human development, strategic planning, research, and evaluation, all with a focus on maximizing the potential of individuals, teams, and organizations. She lives in West Virginia and has worked nationally and internationally.